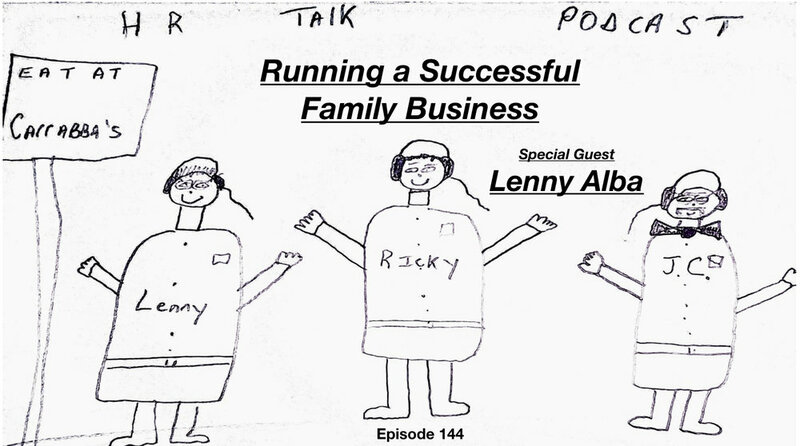 RUNNING A SUCCESSFUL FAMILY BUSINESS WITH LENNY ALBA! — HR TALK! RUNNING A SUCCESSFUL FAMILY BUSINESS WITH LENNY ALBA! On this episode of HR Talk Ricky and JC connect with Lenny Alba, President of Alba Coatings Inc. We talk about leadership, hiring, firing, and everything in between!